I like Boggle more than Scrabble, because Boggle is fast-paced and multiple games can be completed in short time spans. With that being said, Scrabble is a fun game. In fact, I have two regular copies of the game and one travel copy. Of course, my friends don't like when I use words that "aren't words." In particular, any of the two-letter words (when playing Scrabble). Though one friend mentioned that when he plays with his friends, they'll make the list of two-letter words readily available to all the players. That seems reasonable, at least for a while. To me, knowing any two-letter word is no different from knowing any other word. To give a player who doesn't know the list of two-letter words in order to level the playing field would technically extend to Player A giving Player B all the words that Player B doesn't know, but that Player A knows. A better example is the following. So Player A happens to have learned the list of two-letter words. So we say, Player B should be given the list of two-letter words, because it's "unfair" that Player A knows two letter words like "ZA" and "XI." 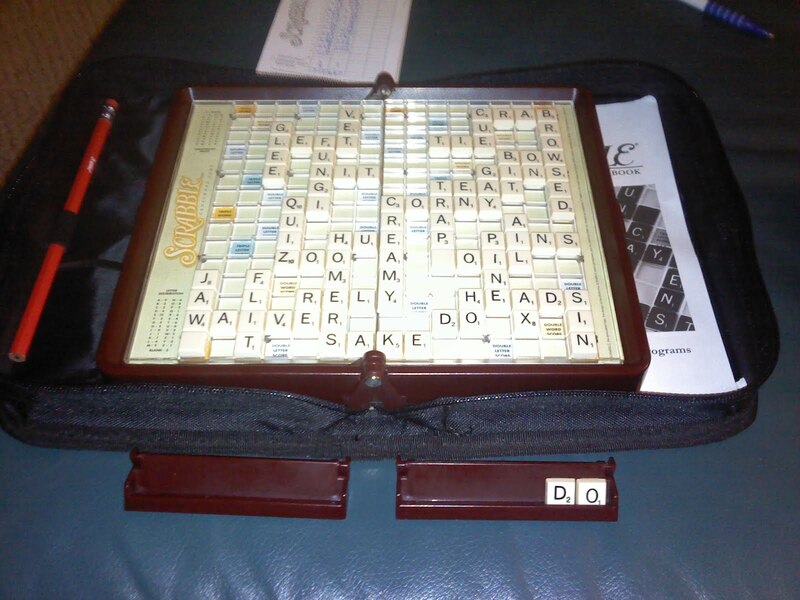 Suppose Player A happens to have learned the entire Scrabble dictionary. Should we just give both players the Scrabble dictionary? Today we finished a game we started a couple of days ago. 20120107 Josh 308, Tim 297. Josh won.